Buying a home requires more than just a down payment. There are plenty of costs associated with buying real estate that you might not expect while you’re scrolling through listings. 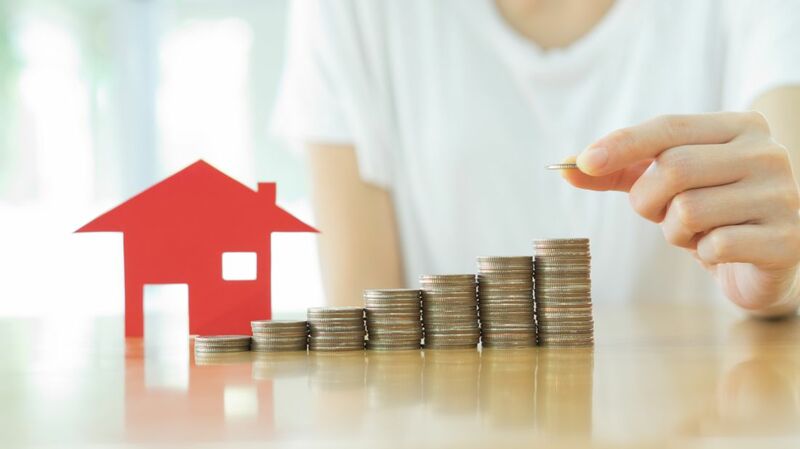 To know how much you can spend on a home, you’ll need to plan for not only your mortgage payment but closing costs, monthly charges like homeowners association or co-op maintenance fees, property taxes, homeowners insurance, and utilities. These extras can tack on a significant amount to your monthly housing costs, making them important to take into account before you set your sights on a particular property—it might look affordable at the outset, but be located in a place with high property taxes or come with a hefty HOA fee. RealEstate.com, a new site from Zillow, is designed to help you search for homes based on what you can afford when all of those hidden costs are factored in. It crunches the numbers to tell you what your total monthly costs would be. Estimated monthly cost per month for a home for sale in Nashville, broken down by mortgage payments, HOA fees, and other costs. Being able to see at a glance how much property taxes and HOA fees for a particular home might cost could make you rethink whether or not you can afford to live there. For instance, looking at a $400,000 home for sale in Nashville, you could expect to pay around $1500 a month in mortgage payments with an $80,000 down payment. But your actual monthly costs would be around $2100, accounting for $80 in insurance, $377 in property taxes, and $172 in utilities per month. And that doesn’t count the $5000 you’d need to plan to pay in closing costs just to buy the home. Other real estate markets might cause you even more sticker shock. Looking at a $359,000 listing in Brooklyn, the monthly mortgage payment would only be $1337 with a $71,800 down payment, according to RealEstate.com. But between $300 for estimated property taxes, $100 for homeowners insurance, $400 for HOA fees, and $200 for utilities, the actual cost for the home would be around $2300 a month. Plus there is the one-time closing cost: an estimated $13,550. Closing costs include your broker's payment, appraisal and inspection fees, escrow costs, legal fees, application processing fees, and more. Those pest inspections aren't free, after all. Closing costs differ from state to state, but they typically run around 2 to 5 percent of the purchase price of a house or apartment. If you’re buying a condo, an apartment in a co-op, or a home in a gated community, chances are you’ll have to join the homeowners’ association. The monthly fees you pay to the HOA go toward maintenance and upkeep of the building or common areas, like elevators, sidewalks, parking garages, and landscaping. If the roof of your condo building starts leaking, your homeowners’ association fees will cover it, for instance. Property taxes can cost you quite a bit, depending on where you live. In Los Angeles County, for instance, all property owners pay at least 1 percent of the assessed value of their home, plus taxes levied by specific cities within the county. In Illinois’s Cook County, you’d be paying an average tax rate of just over 2 percent—about $5000 a year on a $250,000 property. You'll definitely want to get homeowners insurance, which will typically cover you if your roof gets destroyed by a tornado, if your plumbing breaks and floods your basement, or if someone breaks into your house. Insurance quotes depend on multiple factors, including the value of your home, your insurance claim history, and the deductible you choose. And like other aspects of buying a home, this can vary a lot by geography, especially since some homes are naturally more likely to fall victim to hurricanes or earthquakes. According to the financial website ValuePenguin, the average cost of homeowners’ insurance in 2017 is around $166 a month in Florida, for instance, while Nevada homeowners pay an average of $60 per month for insurance.